The silk for this outfit is called Meisen. 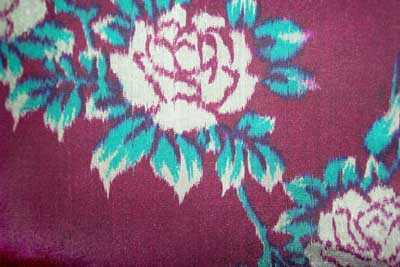 The cloth has been decorated in a stenciled design of silver roses with green leaves. 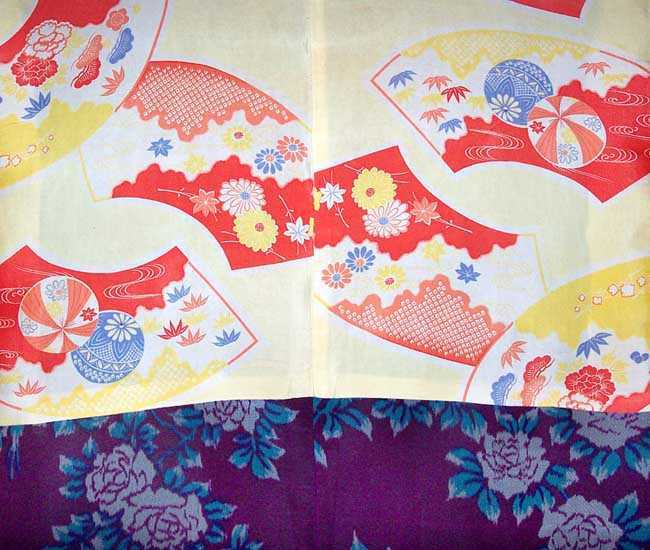 The haori is lined in a colorful stenciled silk. It has its ties. 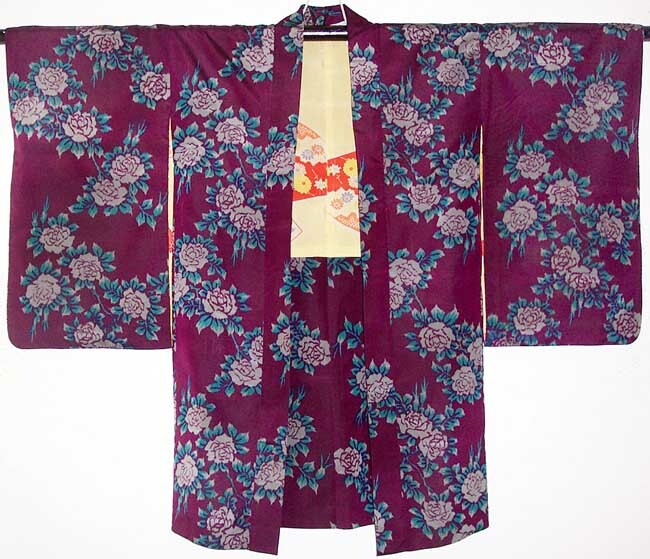 The lining has some slightly worn areas but outer haori is in good condition. Meisen is known for its durability and its shinny finish. 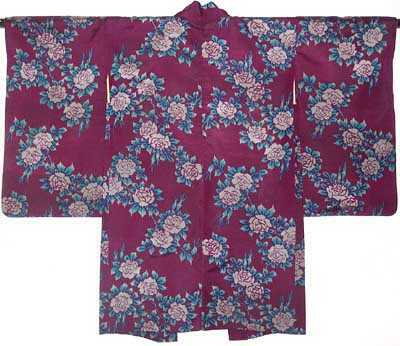 Haori Dimensions: 48´sleeve tip to sleeve tip X 38” long shoulder to hem.